Each time DePaul head coach Doug Bruno faces Villanova head coach Harry Perretta, Bruno said he has to decide whether his team will play either fast or slow. Under Perretta, the Wildcats are a team that can dictate the tempo by slowing it down and eating up most of the shot clock. 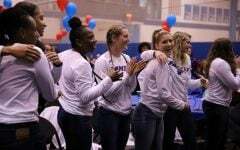 In the first meeting between the teams on Jan. 2, DePaul played to their up-and-down pace that averages 90 points per game. 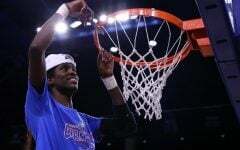 The Blue Demons, however, blew a five-point lead in regulation with 90 seconds to eventually lose in overtime, 79-76. 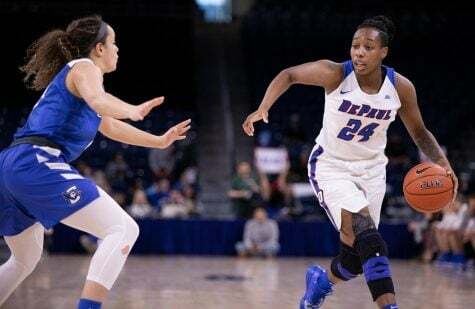 When the teams met again on Sunday, it was DePaul (17-6, 9-2 Big East) who came out on top as the Blue Demons earned a 49-47 win in a drawn out, sluggish affair. The Blue Demons had their lowest output in points this year, but they got what mattered in the end — the win. Getting baskets certainly wasn’t easy. DePaul shot a horrid 30 percent and went through multiple stretches where they went minutes without scoring. The Blue Demons rarely got out on the fast break and the ball movement wasn’t as crisp as it had been in recent games. 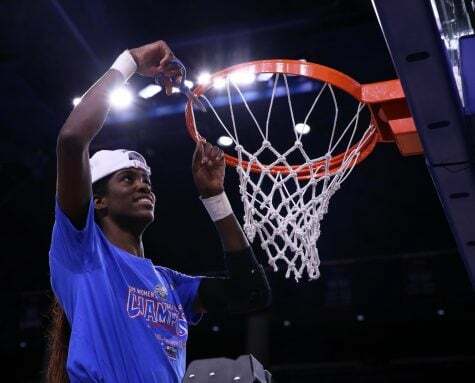 Redshirt junior Chanise Jenkins was the only player who seemed to find her rhythm. 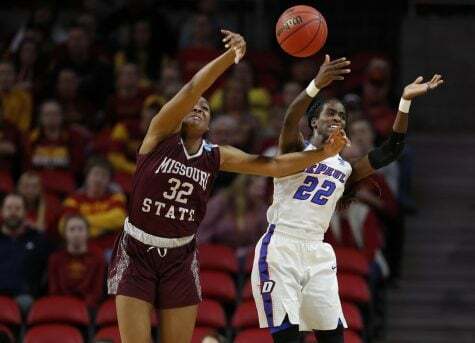 She led the Blue Demons with 19 points, four rebounds and three assists. 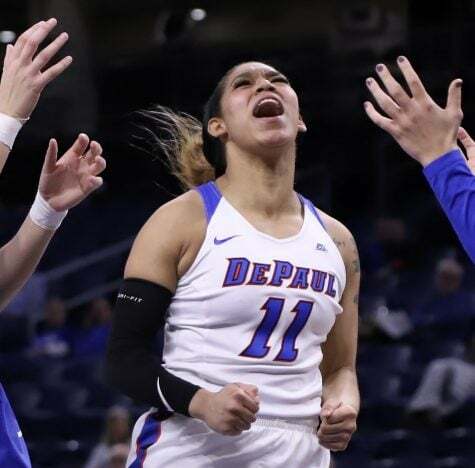 She went 7-for-11 from the field, and no other Blue Demon made more than four baskets. Hrynko and January both struggled with Hrynko shooting 4-for-16 for 10 points and January going 2-for-5 for five points. The shooting slump let Villanova stick around, even though the Blue Demons shut the Wildcats’ offense down for the majority of the first half. 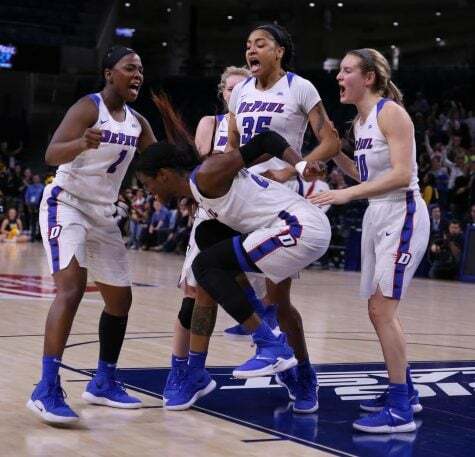 DePaul led 25-9 with five minutes left in the first, and Bruno said up until that point, it was the best defensive showing from the Blue Demons this season. The Wildcats shot 26 percent in the first half and finished shooting 32 percent. But Villanova (13-10, 7-4) also went on multiple runs while running the clock down to eight or nine seconds. Villanova’s average possession lasted 21 seconds, and the Wildcats ended the first half on an 8-3 run over the final five minutes. DePaul’s only basket during that stretch was a Brooke Schulte 3-pointer to give DePaul a 28-17 lead at the half. 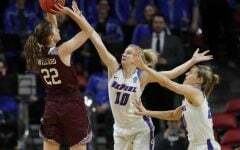 In the second half, DePaul went through a four-minute stretch without scoring and it allowed Villanova to get back within two points, 36-34 with seven minutes remaining. DePaul doubled teamed players on the wing, which gave the Wildcats 3-point opportunities. Villanova center Emily Leer led her team with 18 points, including going 2-of-4 from beyond the arc. Jenkins said the biggest turnaround from the first meeting was that the team stayed composed. 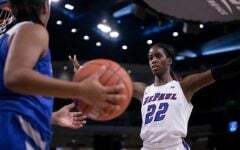 DePaul’s composure was tested all the way until the final possession. Leading 49-47, Jenkins missed a free throw in a 1-and-1 situation, which gave the Wildcats one last chance with eight seconds left. On the inbounds, DePaul forward Centresse McGee deflected a pass from Caroline Coyer, but the Wildcats recovered the ball and forward Taylor Hoffman had a clear lane to the basket. 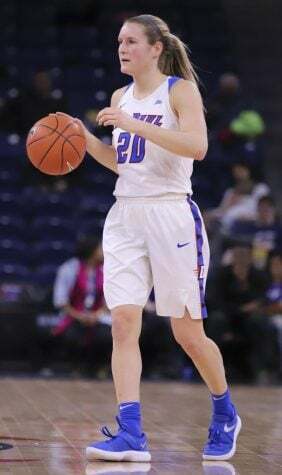 McGee, however, was able to get a piece of the ball and it affected the shot just enough as it rolled off the rim, giving the Blue Demons the victory. Bruno said that he was proud of the way his team executed in a close grind-it-out-type game. 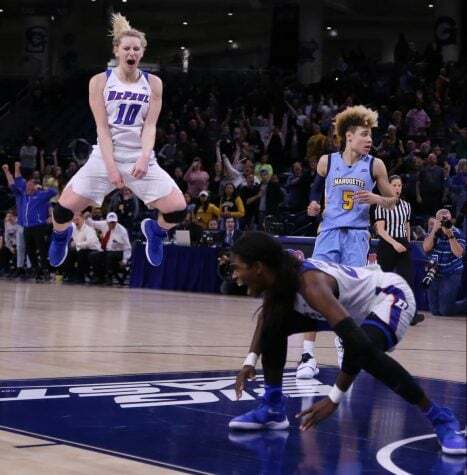 The Blue Demons often found forward Megan Podkowa in the post and Podkowa finished late with a series of post moves. Podkowa, who missed time in the first half after rolling her ankle only to return, scored nine points.